Have you ever wanted a perfect life? Research has shown that only those people who have high self-esteem and confidence are capable of living an almost perfect life. The question therefore is how can you attain the high self-esteem and confidence? The answer is very simple; enhance your appearance as much as possible until you get satisfied in yourself. Nowadays, seeking for beauty services is no longer a luxury; it is a necessity. Good beauty services will always make people’s appearance appealing and attractive regardless of their original appearance. This enhanced appearance will then increase the chances of entering into relationships and dating. At long last, beauty will have achieved both physical and emotional satisfaction in life, hence making you to live an almost perfect life. Face of Blossom is a modern beauty salon based in Singapore concerned about the general appearance and well-being of the body. Unlike most of the beauty salons which focus on the beauty of the hair alone, this fascinating place offers a variety of unique services ranging from Acne treatment, Hydration Nourishing Treatment, Anti Age Lifting Therapy, Aroma Essence Massage, Manual Lymphatic Drainage, Skin rejuvenating Treatment, Eyebrow Enhancement, Face Threading, moisturizing hand treatment, deep tissue massage, foot reflexology massage, Aroma Essence Shoulder massage, waxing, Indian head massage, and Ear Candling massage among other wonderful services. Our beauticians are always acquainted with the latest beautifying techniques. Besides, other beauty products for skin care and body care are also available at the centre. The facility is also well equipped with modern beautifying tools and comfortable furniture which ensure that the customers get nothing but the best. Furthermore, the experienced and friendly workers that are ever smiling and relating well with clients will always ensure that the environment is welcoming and comfortable to the customers. It is always painful to pay heavily for substandard services that will instead make you regret than appreciate. To be sure of the best and up to date beauty services, you should always choose the beauty salon with good reputation. Face Of Blossom is just one of the best ever beauty salons that has never disappointed its clients. You can find affordable beauty services yet delivering the high possible quality to the clients. With the social and well relating employees, the facility is not only a beauty salon but also a relaxing centre. After a long working day, the customers can walk into the centre; make themselves comfortable in the luxurious furniture and laugh to the stories and jokes cracked by the workers as they receive the wonderful beauty services. At this place, the clients can always be assured of getting out stress free and jovial. This is also the right place for people who like the latest fashion and style on market because it is ever updated on all emerging matters about beauty. 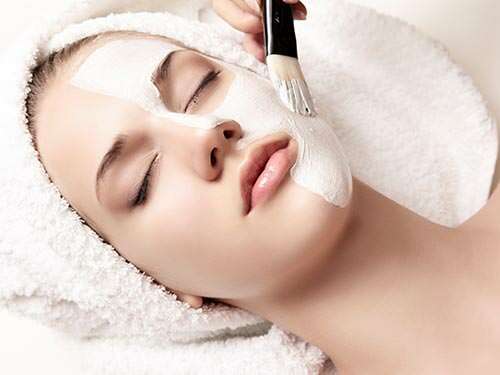 The skin care and treatment ensures that the skin remain clean and free from infections that might compromise the health and well-being of clients. Research has also shown that massage can greatly help in treating stress, improving the level of concentration and alertness, improving sleep, enhancing inner peace and calmness, improving blood circulation and dispersing toxins from muscles among other things. One of the major functions of beauty services is the appearance. Most people get attracted to good looking individuals. Similarly, nobody will want to date someone who doesn’t care about his/her appearance. Good appearance will also earn you respect before people and many people will always want to associate with you. Beauty Salons are not only meant for women. Men also need to look fabulous and appealing as well as to stay healthy. Confidence and High self-esteem can only be attained when an individual is smart and good looking. This increases the rate of productivity and creativity in people hence improving the lifestyle. Henceforth, give us a call and discuss with our professional beauticians to start working towards a healthier and better life. We would like to thank all our customers for their continued support all these years. We will continue to strive and give best efforts to our customers. Facing the computer every day, I used to have headaches and shoulder pain on and off. At times, during the afternoon or wake up with an headache. I came across Face of Blossom through a road show and went to try the Indian Head Massage. After 3 sessions, once a week for the beginning, I had a lot of improvement. So I continued with it and now I do not have that problem. I also tried their MLD for my sinus and it did improve my situation and I am continuing with it. I would like to thank Annie who did these sessions for me. I used to have very visible red veins on my face and my skin is really sensitive and will becomes red and swollen easily however after a few sessions of MLD facial treatment, the condition of my skin improves a lot, the veins are less visible now and my skin is not as sensitive as before. It also feels smoother and my pores have reduced visibly. MLD also helps me to sleep better at night and i feel really relax after each session. Thank you. When I was first introduced to this treatment I was very sceptical but decided that there was nothing to loose as my face had brown patches which was getting bigger. On top of that my skin was very oily and there were many acne scars. After a few treatments my skin condition improved, the acne scars and the brown patches faded away. MLD is something recent I tried and I find it soothing and relaxing and combined with the enzyme treatment it helps clear my shin from build-ups and oil clogs. I have been suffering from migraine for the last 20 years or so. Some days, it get so bad that I need 2 injections from the doctor – One to stop the pain and another to stop my vomiting. It strikes whenever I am stressed, had insufficient sleep, insufficient fluid or too much sweets. The hot weather is another definite culprit ! After I started with the Indian Head Massage, there is great improvement ! There was a continuous period of more than 1 month that I have been feeling well and had no repeated attacks despite the hot weather and insufficient sleep. Stress level patterns were never reduced in any way too during this period. It was the Indian Head Massage that brought me to a level where I am more relaxed. I believe it also improved my blood circulation, and hence the attacks got less and less frequent. I will not hesitate to recommend anyone with prolonged migraine/cluster headache with a ‘given up attitude’ of hoping to find a cure, to try the massage. Experience the healing hands of the Indian head massage at Face of Blossom ! Thank you Annie for your healing hands ! Check out our Korean Lymphatic Detox Guasa page for more information.